On Friday, May 23rd, 2014 The Snow Sports Industry lost a True legend and Selfless Ambassador to Alpine Skiing & Teaching. Gary Carter was a great partner, father, mentor and one of the best instructors many of us knew. 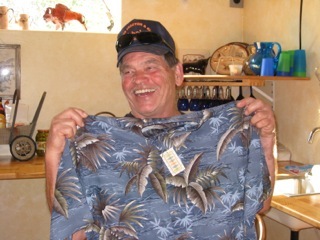 He had a huge following and was known as THE guy who improved several marriages by helping a skier’s or instructor’s spouse to enjoy skiing too. Gary grew up in Portland, skiing Mt. Hood. 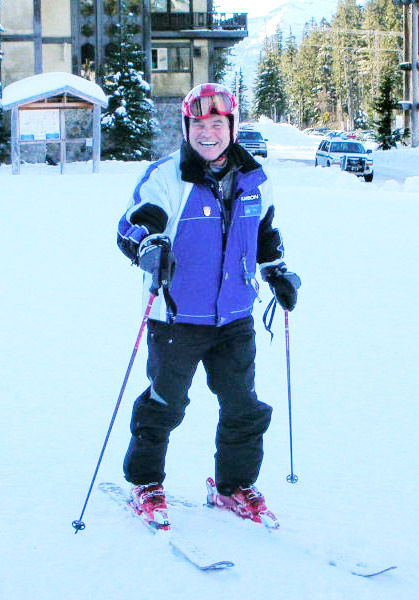 He became a member of PSIA-NW in 1968 while working at Ski Bowl. He earned his Associate Cert. (Level II) the following year and Full Cert (Level III) in 1970. He was soon an Examiner, teaching the teachers. After moving to White Pass in 1977, Gary became a truly outspoken member of our PSIA-NW Board, representing White Pass/South Central. He was always on guard against elitism and fought for the rights and interests of the average person. Gary was recently recognized as a PSIA Legend. For those who knew him well, he was often referred to as Gary-San for his years of merchandising Japan’s Nishizawa skis in North America. 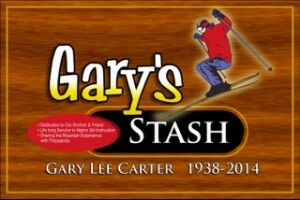 Gary loved to share his passion for Skiing and the brotherhood of the Mountain Experience. He taught us by example to never forget the joy of play, the healing power of laughter or the smell of a good Bahama Mama hot dog barbequing in the ski area RV lot. I remember a group of us skiing trees, when we came upon a beautiful meadow of untracked powder and I stopped to enjoy the view. As Gary made a turn by me, he gently pushed me over in the deep snow while giggling, “He who hesitates, spectates” and proceeded to rip some beautiful first tracks. In professional circles, Gary was known as the best guy to see between Portland, Yakima and Seattle for a pro ski tune or boot fit. With his skill and a Wintersteiger stone grinder in the shop, Gary could make a great ski out of a good ski or pull another season of life out of equipment most of us would have sent to the ski swap. Gary Lee Carter, you were selfless and generous beyond words. You will truly be missed by many more than you knew! We wish you only Blue Skies and Deep Powder in Heaven Brother, Blue Skies and Deep Powder. Thanks for Finishing the Article for me Tony Great Job. I miss that guy a lot! It’s going to be the toughest when the Snow flies again and he’s not there. Thanks Tony, we will miss him a lot!!!! A nice tribute to a great guy. Gary was pure warmth on snow. A very open and caring gentleman. Always giving and helping, yes, Gary will be missed in line up. 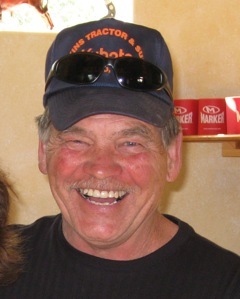 Gary quickly became a good friend when I arrived at White Pass in 2009. It was only later that we determined that Gary was one of my examiners when I passed my Associate at Stevens Pass in 1977 while working part time at Mt Baker. Gary took Nancy under his ski arm and helped her greatly in her effort to improve. We will miss you and your great smile and laugh. Thanks for all the great tips and fun turns.